Every year in the month of February, we encourage our students to "fall in love with reading"! We feel it is important to make literacy more visible and to communicate its high priority. For many of our students, reading at school is the only time they read. 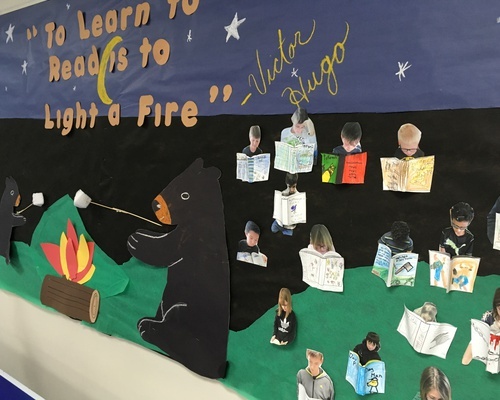 We want all of our students to see themselves as readers, and to know that all of their teachers, assistants and support staff along with parents welcome them into our reading community to discuss, recommend, and share books. On Friday, Jan. 18, 2019, Rotary Club of Calgary South presented Karen MacMillan and Simon Williams with a cheque. 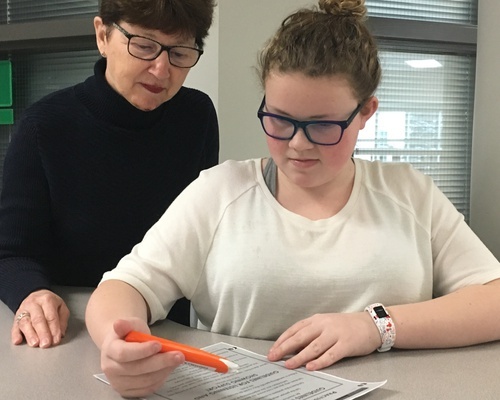 Their generous donation will be used to purchase 10 C-Pen Readers for our students. Because of their support, our students will be able to be more independent with their learning. 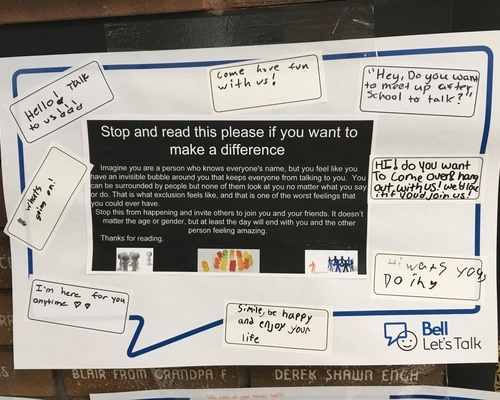 Foothills Academy participated in the Bell Let's Talk 2019 campaign. All students were asked to write down ways that they support their own and others mental health.